*Former Motown producer Frank Wilson – who worked on music for The Supremes, The Temptations, Stevie Wonder and Marvin Gaye among others – died Thursday after a long battle with prostate cancer. He was 71. 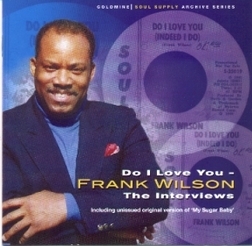 At one time, Wilson was also a singer who released one record … the 1965 single “Do I Love You (Indeed I Do).” The BBC said the record was so rare that in 2009 one of the few remaining copies was sold for more than $40,000 at an auction, making it the most expensive record ever sold at auction. Next ArticleHold Up! Missy Elliott is Coming Back?